The Southern Christian Soldier fought for a just cause, and in the light of their accomplishments it can never be dimmed by any revision of History. As a Christian I”m proud and honored to take a stand for the Confederate soldiers today. We must accurately preserve for future generation the legacy they left behind. Today there are people who want to ban our ancestors symbols, denigrate their honor, and deny us our Confederate heritage. Christian of the South rejects any groups whose actions tarnish, or distort the image of the Confederate soldier or his reasons for fighting. Christians of the South continues to serve as a non-political, Southern patriotic, historical, and educational website dedicated to insuring and preserving the word of God and the Confederate soldier’s and sailor’s memory, and presenting the motives for there sacrifice! And this is why I put this website together. I hope you get as much of a blessing reading it as I got in making it and remember to always put your trust in God. 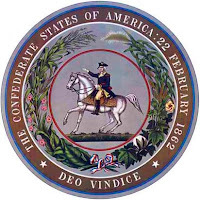 The President of the Confederate States was the Head of State of the short-lived republic of the Confederate States of America, which seceded from the United States. The only person to hold the office was Jefferson Davis of Mississippi. He was president from February 18, 1861, to May 10, 1865, and his vice-president was Alexander Stephens. It was considered a most important part of each man’s equipment that he should carry in his knapsack a copy of God’s word. (A Holy Bible) During the war, General Robert E. Lee Received a Bible as a gift from a Five Year Old boy, He told the lad he Could not have received anything, which he would value more highly then the holy Bible. General Robert E. Lee's Headquarters Flag, Army of Northern Virginia. The cotton and wool bunting flag was used by Robert E. Lee during the early part of the War. It flew only over stationary camps, not on the battlefield. At the end of the War the flag was found stored with the Confederate War Department's records, packed among captured Federal colors. It is possible that the flag, or at least its odd star arrangement, was produced by the general's wife. Then I wish I was in Dixie, Hooray! Hooray! The origin of this flag is obscure. A blue field with a single white star was carried by troops fighting for Texas independence. This flag seem to have been used as a secession banner as it was seen in the streets of Montgomery during the first Session of the Provisional Congress of the Confederate States of America. The song “The Bonnie Blue Flag” was written by Harry MacCarthy and first sung by him in a theatre in New Orleans, The immediate popularity of the song gave immortality to the banner. The first flag to be adopted by the Confederate States of America was the First National the Stars and Bars, with 7 white stars in the blue field, one for each Confederate State at the time of adoption. This flag was raised over the Capitol Building in Montgomery, Alabama, at sunrise on March 4, 1861; being unfurled by a grand-daughter of President John Tyler, of Virginia. 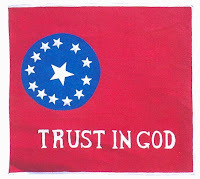 It is now used with 13 stars in the blue field by the United Daughters of the Confederacy as their insignia. At the Battle of Manassas July 21, 1861, General Beauregard was anxiously hoping for reinforcements, while holding his ground against great odds. The reinforcements came, but for a time the General could not tell whether the troops were Confederate or Federal. The Stars and Bars of the First National flag in the dust and heat of the battle could scarcely be distinguished from the Stars and Stripes of the Federal flag. General Beauregard decided that this must not happen again, that the Confederacy must have a flag that could not be mistaken. The Confederate Battle flag was adopted in September 1861 and witch was the flag to fellow the Confederacy until the end of the war. The Confederate Battle flag was only used in thee sizes Infantry size 52”x52” Artillery size 38”x38” and Cavalry size 32”x32” And it is the insignia of the United Confederate Veterans. The flag you see today is called the Navy Jack. The Second National / The Stainless Banner Adopted May 1, 1863 The likeness of the First National flag and the Federal flag often caused confusion, therefore, the Confederate Congress on May 1, 1863, adopted the design for a new flag. The Second National flag was a white flag with the “Battle Flag” In the upper left hand corner. It was found that the Second National Flag when hanging limp, it could easily be mistaken for a flag of truce, so on March 4, 1865 Congress again changed the National Flag. this was done by placing a broad red bar across the end of the Second National Flag, thus forming the Third National Flag the last flag of the Confederacy…And the flag we have today. On April 8, 1864, General Robert E. Lee issued orders for his troops to observe the “day of fasting, humiliation, and prayer” that had been proclaimed: Soldiers! Let us humble ourselves before the Lord, our God, asking through Christ, the forgiveness of our sins, beseeching the aid of the God of our forefathers in the defense of our homes and our liberties, thanking His past blessings, and imploring their continuance upon our cause and our people. General Robert E. Lee wrote: Knowing that intercessory prayer is our mightiest weapon and the supreme call for all Christians today, I pleadingly urge our people everywhere to pray. Believing that prayer is the greatest contribution that our people can make in this critical hour, I humbly urge that we take time to pray-to really pray. Let there be prayer at sunup, at noonday, at sundown, at midnight-all through the day. Let us pray for our children, our youth, our aged, our pastors, our homes. Let us pray for our churches. Let us pray for ourselves, that we may not lose the word “concern” out of our Christian vocabulary. Let us pray for our nation. Let us pray for those who have never known Jesus Christ and redeeming love, for moral forces everywhere, for our national leaders. Let prayer be our passion. Let prayer be our practice. General Lee once remarked to Chaplain John William Johns regarding the Bible: There are things in the old Book which I may be able to explain, but I fully accept it as the infallible word of God, and receive its teachings as inspired by the Holy Spirit. General Robert E. Lee was visited in his tent by Chaplain John Williams Jones and General Stonewall Jackson’s Chaplain, B.T. Lacey. They told the General that all the chaplains were praying for him. As Jones recorded, tears came to General Lee’s eyes as he said: Please thank them for that, sir-I warmly appreciate it. And I can only say that I am nothing but a poor sinner, trusting in Christ alone for salvation, and need all of the prayer they can offer me. In 1863, after many members of a Tennessee regiment had fallen in battle Sons of Confederate Veterans member Nelson Winbush Grandfather, Chaplain Louis Nopoleon Nelson “uncle Louis” a Black Confederate Soldier read sincere and earnest eulogies to his fallen comrades, and prayed over the wounded with unsurpassed zeal. Louis Nopoleon Nelson was one of Thousands of blacks that served the Confederacy as laborers, teamsters, cooks, and solders. Some estimates indicate 25% of free blacks and 15% of slaves actively supported the South during the war. At the battle of Malvern Hill, W. G. Norwood with Company D, 5th. Texas Infantry was saved by his Bible. The rifle ball struck his breast over his heart penetrating through his Bible, but not until it stopped at the fifth chapter of Psalm over the eleventh and twelfth verses; “But let all those that put their trust in thee rejoice: let them ever shout for joy, because thou defendest them: let them also that love thy name be joyful in thee…For thou, Lord, wilt bless the righteous; with favour wilt thou compass him as with a shield” he survived the war. The following are Native American Confederate tribes, inlisting within the southern ranks in the war between the States. are the Cherokee, the Chickasaw, the Chictaw, theCreek, and the Seminole. The last Confederate General to stand down was Brig. Gen. Stand Watie, a Cherokee. 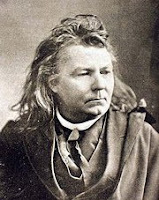 On June 23, 1865, long after the war in the east had ended, Watie agreed to cease-fire terms at Ft. Towson in Choctaw Nations area of Indian Territory. Death held no terror for the Christian soldier, They faced danger with a serene calmness of one who had nothing to fear. This kind of belief is the what made General Thomas J. Jackson a “Stonewall” in the face of danger at Bull Run. When ask “How is it that you can keep so cool and appear so utterly insensible to danger in such a storm of shell and bullets as rained about you when your hand was hit?” He answered, “My religious belief teaches me to feel as safe in battle as in bed, God has fixed the time for my death. I do not concern myself about that, but always be ready, no matter when it may overtake me.” And he added, “That is the way all man should live, and then all would be equally brave.” Jackson knew that God knows and does all things for the best. Jackson who was a very stern, silent man with little sense of humor and believes in the word of God and would not drink, smoke, dance, curse, play cards, or attend the theater. Born on January 21, 1824. will graduate from West Point in 1846 to fight in the Mexican War. And stayed in the army until 1851, when he left to join the faculty of the Virginia Military Institute in Lexington, Va. In 1860 he join the Confederacy. 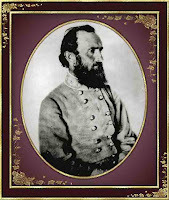 In the War Between the States (The Civil War) On the Battlefield he was daring, calm, decisive, and got his name “Stonewall Jackson” Jackson died on Sunday May 10, 1863. His last words was. “Let us cross over the river and rest under the shade of the tree. "Rebel Sons of Erin" They too fought for the Cause. America's Irish community - like so many other Americans - was divided by the War Between the States. Irish volunteers in the North achieved fame through the battlefield exploits of units like "Meagher's Irish Brigade." Less known, but no less fervent in their patriotism, were Southern Irishmen - who promptly took up arms in defense of the South and Southern Independence. 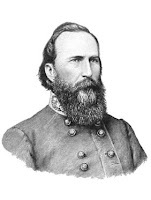 Most prominent among Irish Confederate commanders was General Patrick R. Cleburne, and among the best-known Irish Confederates were the troops of the 10th Tennessee, C.S.A. “The Conquered Banner" "The Sword of Robert Lee" "The South" "C.S.A." Jewish Confederate, Judah Philip Benjamin (August 6, 1811–May 6, 1884) was a British-American politician and lawyer, who served as a representative in the Louisiana State Legislature, as U.S. Senator for Louisiana, in three successive cabinet posts in the government of the Confederate States of America, and as a distinguished barrister and Queen's Counsel in England. He was the second Jew (after David Levy Yulee of Florida) to serve as a U.S. Senator and the first in the cabinet of a North American government, and had the opportunity to be the first Jewish nominee to the U.S. Supreme Court, though he declined the position..
"Missouri" Battle Flag, Trans-Mississippi Department: This flag was found almost exclusively with Missouri regiments in the Department, and that is why it is often called the "Missouri" Battle Flag. The flag was blue bordered with red with a white Roman cross near the hoist of the flag. “Do always what is right, not calculating what is expedient, and with pure heart and true devoting go straight forward and do it.” he wrote to a daughter the day before died, Such was the temper of Southern Cross of Honor Leonidas Polk. 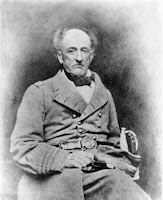 The son of a Revolutionary War veteran, Leonidas Polk was born April 10,1806. in Raleigh, North Carolina wail at the United States Military Academy. At West Point he made friends with a cadet named Jefferson Davis and roomed with Albert Sidney Johnston. In his junior year Polk was converted to Christianity and soon felt the call to the ministry graduating in 1827. Polk resigned from the army in order to attend Virginia Theological Seminary. After ordination in 1830 later that same year he married Frances Ann Devereux. They would have six daughters and two sons. The growing family moved to Tennessee where Polk labored in the Episcopal ministry. Just prior to the War Between the States, with the triumph that year of the Republican Party, Polk prayed for the untroubled birth of a new Southern nation. he wrote to a friend, “I cannot but think and hope that the good sense and Christian feeling of the North will prevail over passion and pride, and that we shall be saved from such a disaster and be permitted to go in peace.” When Lincoln instead chose war, Polk offered his services to President Davis and soon found himself a major general in the Provisional Army of the Confederate States of America. “I believe most solemnly that it is for Constitutional liberty…that we strike.” He told a fellow bishop. In 1861 Polk occupied and fortified Columbus, Kentucky he would later in counter Ulysses S. Grant’s raid on Belmont, Missouri. 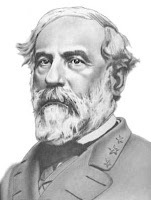 After commanded an infantry corps at the battle of Shiloh, he was promoted to lieutenant general in October 1862. Leading his corps in the Army of Tennessee, their battle flag a star studded red cross of Saint George on a field of blue this flag inspired by the emblem of the Episcopal Church. Polk’s man fought at the battle of Murfreesboro and in the Tullahoma campaign, After his victory at Chickamauga, general Braxton Bragg was furious Polk removing him from command President Davis sought to settle the issue by transferring Polk to Mississippi, under Joseph E. Johnston, Polk rejoined the Army of Tennessee to faced W.T. Sherman in Georgia. No one doubted Polk’s piety and many looked to him for spiritual direction. In Dalton, Georgia, fellow corps commander John Bell Hood asked to be baptized by the bishop-general. Polk went on to confirm Lt. Gen. William J. Hardee in his faith. “General Johnston who has never been baptized,” wife Lydia Johnston wrote to Polk, “It is the dearest wish of my heart that he should be, and you should perform the ceremony would be great gratification to me. 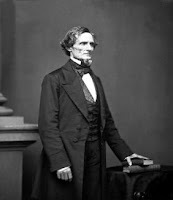 I have written to him on the subject, and am sure he only awaits your leisure.” Polk administered the sacrament to the army commander in what one witness called “a very solemn scene.” On June 12, 1864, Polk received copies of a religious pamphlet just published by Rev. Charles T. Quintard, chaplain attached to his staff, entitled “Balm for the Weary and Wounded.” Intending to present the inscribed booklets to Generals Johnston, Hood, and Hardee, Polk placed the copies in his coat pocket. Meeting with these officers on June 14, near a South Carolina artillery battery posted atop Pine Mountain, Georgia, they quickly came under fire of Yankee artillery. As the others rode to safety, a three-inch iron shell tore through Polk’s left chest, killing him instantly. “We have lost much, I would rather anything but this.” Cried a grieving Johnston, When Polk’s coat was removed, one pocket was found to hold The Book of Common Prayer, in the other were the blood-soaked pamphlets. Buried first in Augusta, Georgia, the remains of General Polk and his wife Frances were re-interred at Christ Church Cathedral in New Orleans. General Leonidas Polk's Corps, Army of Tennessee: The Confederate General and Episcopal Bishop of Louisiana chose this Battle Flag. The Episcopal Church flag is a red cross of St. George. It is featured as the central device in Polk's Corps flag. 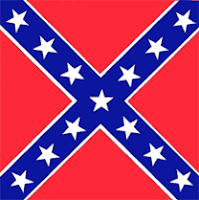 The is a white fimbration to separate the cross from the blue field and white stars representing the Confederate states are placed on the red cross. 3rd Kentucky Mounted Infantry: This was another of the Christian Confederate flag themes. A blue field with a red Roman cross, with white five point stars placed in the cross. I was made week, that I might learn humbly to obey. Almost despite myself my unspoken prayers were answered. I am among man, most richly blessed. General Dabney Maury's Headquarters Flag.This flag was used for a time by General Maury, Department of the Gulf, at his headquarters in Mobile, AL from around 1863- the capture of the city in late in the war. Another example of the Christian theme and principles emulated by the Confederate Armies. Flags of Florida, The Chase Flag, The Secession Flag 1861, Florida's State Flag 1861. (1) It shall be unlawful for any person, firm, or corporation to copy, print, publish, or otherwise use the flag or state emblem of Florida, or the flag or emblem of the Confederate States, or any flag or emblem used by the Confederate States or the military or naval forces of the Confederate States at any time within the years 1860 to 1865, both inclusive, for the purpose of advertising, selling, or promoting the sale of any article of merchandise whatever within this state. (3) Nothing in this section shall be construed to prevent the use of any flag, standard, color, shield, ensign, or other insignia of Florida or of the Confederate States for decorative or patriotic purposes. John Jackson Dickison No account of Gainesville's experiences during the Civil War would be complete without mentioning Captain John Jackson Dickison's famous Company H of the Second Florida Calvary. Dickison’s outfit, organized in August 1862 in Marion County, was composed of some of the best soldiers and horsemen of the entire state. Dickison, called "Florida's most conspicuous soldier," remained in Florida throughout the Civil War; his headquarters were in Palatka much of the time but he roamed all over the state, functioning as the principal thorn in the side of the Federal forces. There is an historical marker about Capt. Dickison on State Road 24 in Waldo. An excellent book about Capt. Dickison is "Dickison and His Men, Reminiscences of the War in Florida," written by Mary Elizabeth Dickison and published in 1890. Illustration of the CSS Florida. One of the most effective warships of the Confederate navy, the CSS Florida never entered port in the state. In 1864, a Union navy ship illegally seized the vessel while it was in a neutral port in Brazi. 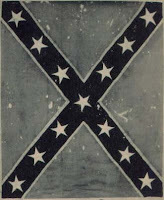 Battle flag for a company of Confederate infantry raised in Bath County, Virginia. This flag is made of fine blue silk, which saw service all through the war, and which was presented by the ladies of Bath County. With a series of ornate, white scrolls in the center. At the top of the flag it reads "PRESENTED BY THE LADIES OF BATH," and at the bottom reads "GOD PROTECT THE RIGHT." The Congressional Record of March 2, 1928. War Between the States as proper. A war was waged from 1861 to 1865 between two organized governments: the United States of America, and the Confederate States of America. These were the official titles of the contending parties. It was not a “Civil War,” as it was not fought between two parties within the same government. It was not a “War of Secession,” for the southern States seceded without a thought of war. The right of a State to secede had never been questioned. It was not a “War of Rebellion” for sovereign, independent States, co-equal, can not rebel against each other. It was a War Between the States, because twenty-two non-seceding States made war upon eleven seceding States to force them back into the Union of States. It was not until after the surrender of 1865 that secession was decided to be unconstitutional. The forbearing use of power does not only form a touchstone, but the manner in which an individual enjoys certain advantages over others is a test of a true gentleman. The power which the strong have over the weak, the employer over the employed, the educated over the unlettered, the experienced over the confiding, even the clever over the silly the forbearing or inoffensive use of all this power or authority, or a total abstinence from it when the case admits it, will show the gentleman in plain light. The gentleman dos not needlessly and unnecessarily remind an offender of a wrong he may have committed against him. He cannot only forgive, he can forget; and he strives for that nobleness of self and mildness of character which impart sufficient to let the past be the past. A true man of honor feel humbled himself when he cannot help humbling others. Character: As a general principal, you should not force young man to do their duty, but let them do it voluntarily and thereby develop their characters. Choices: I think it better to do right, even if we suffer in so doing, then to incur the reproach of our consciences and posterity. Conduct: We have only one rule hear (at Washington College) to act like gentleman at all times. Defeat: We may be annihilated, but we cannot be conquered. Determination: We had, I was satisfied, sacred principles to maintain and rights to defend, for which we were in duty bound to do our best, even if we perished in the endeavor. Dreams: All I ever wanted was a Virginia farm, on end of cream and fresh butter and fried chicken-not one fried chicken, or two, but unlimited fried chicken. Duty: Do your duty. That is all the pleasure, all the comfort, all the glory we can enjoy in this world. Education: The education of a man or woman is never completed until they die. Faith: I trust that a kind Providence will watch over us, and notwithstanding our weakness and sins will yet give us a name and place among the nations of the earth. Farewells: After four years of arduous service marked by unsurpassed courage and fortitude, the Army of Northern Virginia has been compelled to yield to overwhelming numbers and resources. With an unceasing admiration of your constancy and devotion to your country, and a grateful remembrance of your kind and generous consideration for myself, I bid you an affectionate farewell. Forgiveness: Abandon your animosities, and make your sons Americans. Honesty: The trite saying that honesty is the best policy has met with the just criticism that honesty is not policy. The real honest man is honest from conviction of what is right, not from policy. Honor: A true man of honor feels humble himself when he can not help humbling others. Integrity: There is a true glory and a true honor: the glory of duty done the honor of the integrity of principle. Loyalty: If the Union is dissolved, the government disrupted, I shall return to my native state and share in the miseries of my people. Save in her defense, I will draw my sword no more. Patriotism: These men are not an army-they are citizens defending their country. Perseverance: We must expect reverses, even defeats. They are sent to teach us wisdom and prudence, to call forth greater energies, and to prevent our falling into greater disasters. Promotion: What do you care about rank. I would serve under a corporal if necessary! Purpose: I am glad to see no indication in your letter of an intention to leave the country. I think the south requires the aid of her sons now more than at any period in her history. As you ask my purpose, I will state that I have no thought of abandoning her unless compelled to do so. Regrets: If I had taken General Longstreet’s advice on the eve of the second day of the battle of Gettysburg…then the Confederates would today be a free people. Union Atrocities: I have never witnessed on any previous occasion such entire disregard of the usage of civilized warfare and the dictates of humanity. Imagine, if you can, It's the night of Feb. 17, 1864. 26-year-old Confederate naval captain, Lt. George E. Dixon, from Kentucky, is standing in front of a new military marvel — a 39-foot submersible iron ship called a submarine. At its widest point, the craft is only four feet across, and on top of that, it's only three-and-a-half feet deep. standing about six feet tall, a man must squeeze through a hatch 16 inches in diameter into a tiny compartment that also contains eight other crew members. all folding into an almost fetal position, must propel the submarine by hand into the dark and quiet waters of the Atlantic off the coast of Charleston, S.C. to where Union ships have blockaded Charleston Harbor.there mission is to open up the harbor by sinking one of these giants. No submarine has ever accomplished this task. In fact, the submarine is the first to make history the H. L. Hunley, the first submarine ever to sink an enemy ship, in this case the U.S.S. Housatonic. 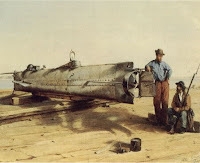 The mystery and tragedy surrounding the Hunley and its captain remained a mystery for more than 130 years, until it’s discovery located it about three miles off Sullivan's Island in South Carolina when Dixon's remains were uncovered "The presence of the $20 gold piece He carried giving to him by his believed Queen in Mobile to be a good-luck charm when a bullet struck Dixon in the leg at precisely the spot where the coin rested, warping it into the shape of a bell. If not for the coin, Dixon might have lost his leg, or even his life. After the incident, Dixon inscribed the words "Shiloh April 6, 1862 My life Preserver G.E.D." and carried the coin with him wherever he went confirms the identity of Lt. George E. Dixon who was found slumped forward at the battle station, where he manned the diving and steering instruments. "The coin was found on Dixon's remains and in the middle of some textiles. he kept in his pocket,.. Dixon and the other eight sailors in his crew was buried in Magnolia Cemetery in Charleston S.C. 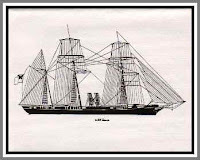 The steam frigate, CSS Virginia (formerly the USS Merrimack),burned but inadequately destroyed by the Northern navy the previous spring, had been raised by the Confederates, rebuilt, and armored with three inches of iron and a four-foot iron beak. It was ugly, unwieldy with a 22-foot draft, but a very effective guardian. On March 8, the Virginia slowly steamed out of the Elizabeth River, heading for the two large wooden warships, the USS Cumberland and the USS Congress, which patrolled the mouth of the James and Hampton Roads. The Union guard was down, and washing lines hung from the Cumberland. It was hard for the Yankees to believe that a ship which, as Bruce Catton writes, "looked like a derelict barn adrift on the tide, submerged to the eaves," could pose a serious threat. All day hundreds of people watched from the shores as the Federal fire bounced off the Virginia's iron plates and both Union warships burned and sank. The next day the Virginia encountered a far more worthy opponent, for the recently built USS Monitor had arrived at Hampton Roads in the nick of time. Described as a "tin can on a shingle" but more maneuverable than the Confederate ironclad, it challenged the Virginia, and they battled to a draw by noon. For the next two months, the rival ironclads glared at each other in Hampton Roads, each unwilling to risk destruction. When finally the Confederate forces had to retreat from Norfolk, the Virginia, its draft too deep to navigate the river channel, had to be blown up. Photo of C.S.S. 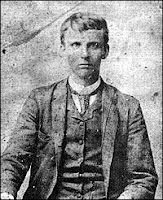 Virginia's Flag Officer Franklin Buchanan. My friend, Think on this if you died right now were would you go? Romans 10:9-10 That if thou shalt confess with thy mouth the Lord Jesus, and shalt believe in thine heart that God hath raised him from the dead, thou shalt be saved. Having read this website and you are not saved please take time to turn to and pray to God, repenting of your sins and believing with all of your heart, that Jesus Christ died for you, asking mercy and forgiveness accepting him as your Lord and Saviour trusting only in the Lord Jesus…For God so loved the world, that he gave his only begotten Son, that whosoever believeth in him should not perish, but have everlasting life.